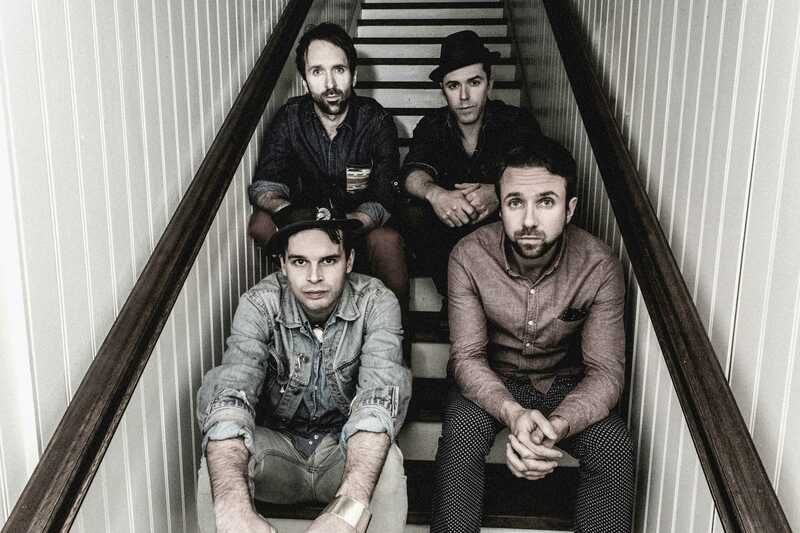 Spend an evening with The Trews at Casino NB in Moncton on Friday, January 30th, 2015. Casino New Brunswick presents an evening with Canadian rock band, The Trews in Moncton, Friday, January 30th at 8 pm. Judging by the boldness of their choices, one would never guess The Trews are 10 years, five studio albums and thousands of gigs into their highly celebrated career. Evidence of a stubborn refusal to play it safe abounds, most notably in the East Coast-bred, Toronto-based rock squad’s eponymous, electrifying new disc, The Trews (released April 2014). Produced by Gavin Brown (Metric, the Tragically Hip, Billy Talent), the album tallies so many firsts that even band members Colin MacDonald, John-Angus MacDonald, Sean Dalton, and Jack Syperek cop to being a smidge flabbergasted by their own achievements, 15 Top 10 Canadian radio singles (including two #1s) notwithstanding. Brown brought a whole new way of working to bear when he gathered with the Trews – including long-time keyboardist Jeff Heisholt last fall in their rehearsal space for pre-production before moving the show to Toronto’s Noble Street Studios for “a concentrated two-and-half week session with some additional recording in November, mixing in December and mastering in January,” Colin MacDonald recalled. “For us, working quickly is a function of having our material together,” John-Angus added, noting that the group amassed some 30 songs between January and May 2013 despite all members “doing a lot of other things. Life was being lived, we were travelling, but I think that fed the writing. For more information on The Trews, visit: thetrewsmusic.com like on Facebook and follow on Twitter @theTrews. Tickets for the Moncton show go on sale this Friday, October 31st at 10 am and range in price from $19.99 to $34.99 (plus tax and applicable surcharge). Tickets are available at the Casino Gift Shop (located at 21 Casino Drive in Moncton, exit #450 off the Trans-Canada Highway), by calling 1-866-943-8849 and online at casinonb.ca. For more information on Casino New Brunswick’s upcoming shows, visit their website at casinonb.ca like on Facebook and follow on Twitter @Casino_NB.